Home / brand new / Charlz / Maths Time Joy / música / Charlz x Maths Time Joy release new single "About Last Night"
Charlz x Maths Time Joy release new single "About Last Night"
Charlz and Maths Time Joy have joined forces to release a gorgeous new single About Last Night, out now through Suicide Sheep's label Seeking Blue Records. The British producer and Australian vocalist and songwriter have created a cross-continent, soulful and sultry, pop-tinged slow jam. What a beautiful song this is guys! Super smooth and dreamy, on which Charlz vocals are a perfect fit to Maths' production. Definitely a match made in heaven! Stream it below! I really enjoy collaborating with Maths. His music is moody, yet accessible... It provides a space to create that feels new yet familiar to me. He'd send tracks to me from the UK and I'd record the vocals in Australia. It fascinates me how ideas shared across such distance could end up sounding so personal and intimate. Creativity really lives in its own space, y'know. 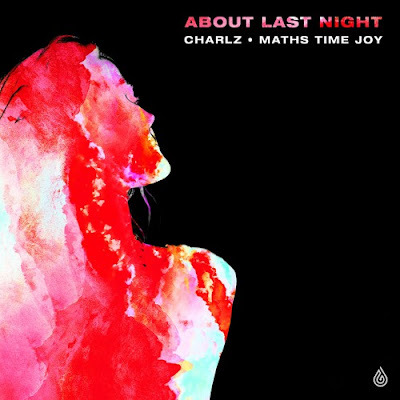 Charlz sent me the vocals and some demo production for 'About Last Night' and I immediately caught on to the vibe - her voice has a great tone to it and her melodies are really catchy as well. It's both interesting and challenging to be involved in a track like this, which evolves over the Internet rather than being in a room together. And to find a sound that fits the artist's original vision whilst melding it with my own artistic take has resulted in a record that is a real collaboration and blend of our sounds.